The AIRhub™ gives you the power to devise training rides that get a result regardless of terrain. 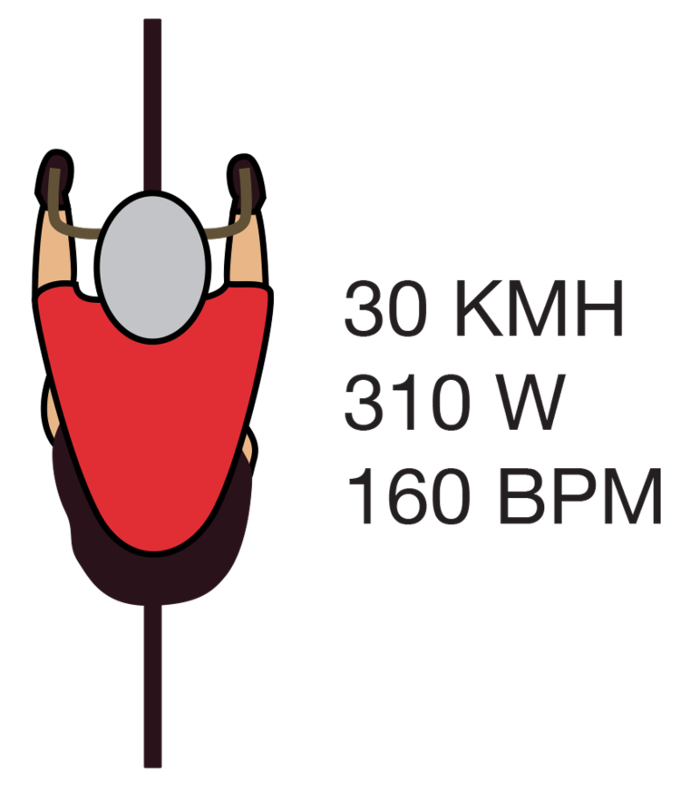 Simulate climbs on flat road or ride at threshold with a button press. Extend the length and intensity of hill efforts, then switch it off for a cool down on the way home. The AIRhub can reduce road speeds by about 5 to 10kmh. With this reduction in speed your rides become safer and you automatically begin to ride at a higher power or exertion. This is hacking performance training like nothing before. Train with riders on their recovery days or ride with a friend or family member of a different ability. Increase resistance to accommodate the needs of your partner while still hitting your training targets. 60w to 100w of resistance massively increases training difficulty and reduces required training duration. The AIRhub™ lets you be more flexible with your training partners while maximising your training performance. Use the AIRhub™ to maximise training time while riding in a big bunch. Choose a desired heart rate to ride at and the AIRhub™ will modify resistance to keep you there. Using bio-feedback you can get quality training wherever you ride. Bunch rides can be chaotic at times, much of the time is spent easy pedaling in the wheels, then without warning the pace increases and a race is on! The AIRhub Original has 2 modes that integrate biofeedback, Power or Heart rate, to constantly adjust resistance to hold you in the correct training zone, as per your program! A training concept so obvious we wonder why no one has thought of it before. Cda mode is a smart resistance mode that uses your road speed to decide how many watts of extra resistance to apply. The faster you ride the more resistance the AIRhub applies. If you start to slow down because of a hill the AIRhub will sense this and back off the resistance until your speed has picked up again. This makes sure that you are maintaining adequate power on the flats and not overworking and getting dropped on the hills. How much resistance is the AIRhub applying? Use the following table to work out how much resistance you need at each speed. Pick a CdA for your ride and keep your phone in your pocket. We don’t recommend adding max resistance to your ride every time. For general training choose a setting which will increase your riding power but not push you into the red. The biggest gains are going to come over a period of a few weeks. If you push too hard at the start you will fatigue too quickly and not see the training through. The 10 hour AIRhub training week! When you are a time crunched athlete there is no need to over complicate things. Stick to what works and get the results. For AIRhub riders there are 3 types of essential sessions. They are solid endurance AIRhub Kms, Power intervals, skills work. Its good to keep the sessions similar each week and watch the consistent improvements. The sessions can be effectively implemented on a morning commute and improvements can be monitored from session to session. 1hr session with 40s hill sprints. 40s on - 1 min off, 4x reps, 3 sets, 10 – 15 min between sets. This session builds muscle power. These are all out efforts – Vo2 max style. Try to do them on a steep hill. 40s up, turn around and roll back to your start point, then bang, go again. The aim is to achieve the highest average power for the 4 reps of 40s. These are going to cause the most muscle damage each week but will help drive top end power and allow you to power over the small climbs in the group rides. What happens if you have more than 10 - 14hrs per week to train? Then we will implement a Polarised style of training. Polarised is the 80-20 rule of training popularised by Stephen Selier and implemented by Professional athletes across the world. These should be completed with a rolling heart rate of between 65% and 80% max heart rate. 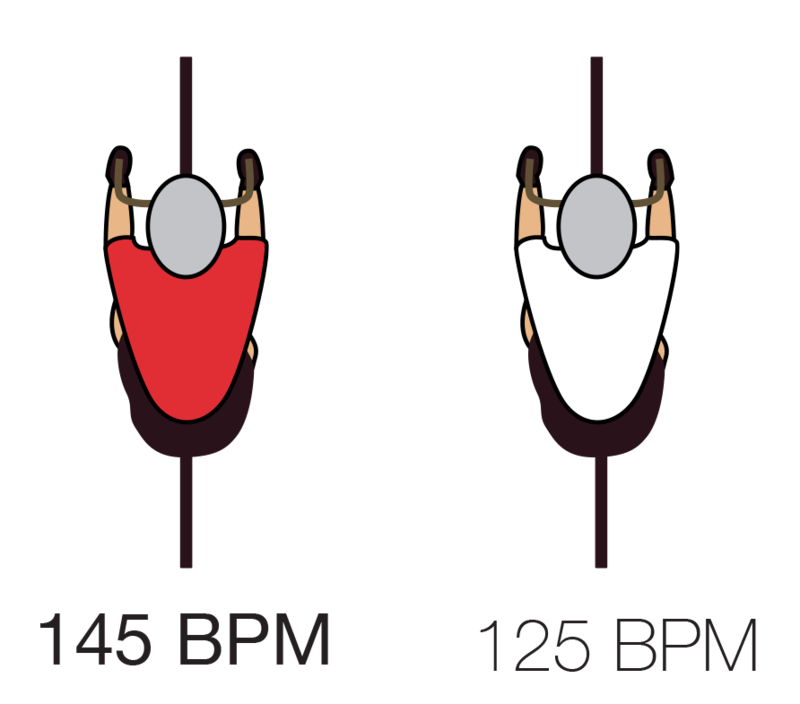 This means that at every point during your ride your heart rate should be between these bands. What is required is consistent loading on the legs with minimal chance for your legs to take a break. Think of it as if you were swimming underwater, holding your legs in this tensioned state for long periods of time will force better aerobic and muscular adaptations than if your were to to take a break and come up for air every few minutes. Just like riding on a climb, riding with the AIRhub gives you significantly more control of your power output during this riding style. When you are recording your endurance training it is important to record the kilojoules burnt rather than the hours or distances traveled. KJ is a direct measure of Work. Unlike Running or Swimming where even the slowest moving slowly requires Work, Cycling permits long periods of freewheeling or easy pedaling. These periods can dramatically influence the training completed and distort the expected training effect. Depending on what you are training for your specifics will change accordingly. For the greatest adaption in power output at threshold, the duration of work completed at, or slightly above, LT2 has been shown to work the best. The latest research shows that 4x16min efforts completed at "maximal session effort" are the most potent efforts for improving threshold power. The recovery time for these efforts should be between 2 and 5 minutes. What if the event you are training for is less about theshold and requires more intermittent power? We suggest using hill sprints at the end of your ride for the maximal resistance to fatigue. For elite athletes we recommend intervals should be completed at the end of an endurance ride. "With Great fitness comes great resistance to fatigue." Unfortunately for the elite athlete who has many seasons of training and racing under their belt, most interval sessions need to be preloaded. A preload is a training bout that is designed to fatigue before the main goal or session of the day starts. Without a preload the first intervals that are completed are going to have very little training stimulus or effect. You have spent significant time training your body to resist fatigue, so to provide stimulus you need to first break through that armour before your training will stick. 3hr preload with 40s hill sprints. 3hrs steady endurance prior to interval session. Focus on maintaining a consistent heart rate between 72-85% max HR.After the preload find a climb and begin the interval session. Our favorite is 45s hill repeats as above. 45s on - 2 min off, 4x reps, 3 sets 10 – 15 min between sets. This session builds muscle power. These are all out efforts that will stretch your muscular endurance.. Try to do them on a steep hill. The power output is not so important here. The focus is on maximal effort and pushing through the fatigue after the 3hr preload. Once an athlete has mastered these preloaded efforts, fresh intervals of the same style or intensity become significantly easier. As a closing remark, more important than the structure of your training, is the culture you build when setting your training program. It has been known for almost 100 years that interactions with a training partner reduces exercise difficulty and improves performance. Integrating training sessions with partners and friends is a good way to break up the training week and have some fun while hitting your goals. The AIRhub is great to build a culture of hard work among athletes of different abilities. Cycling performance takes a long time to develop. Much of the work by sellier focuses on performance through consistency and reducing breakdown of the athlete. Through consistent training comes long term high performance. Leveraging the AIRhub as a training tool to promote a high quality training culture alongside physiological improvements will build a high performance athlete.